*Item/s were received for the purpose of review. All opinions are a 100% my own. Giveaway is sponsored. Sponsor is responsible for the fulfillment of the prize. Once randomly selected, the winner has 48 hours to respond once emailed. It's so important for us to give our families the best all year round, no matter the holiday or occasion! We all indulge in our sweet treats but even for those moments, there are healthier choices for us all. I am happy to participate it in the "No Tricks... Only Healthier Treats" giveaway. 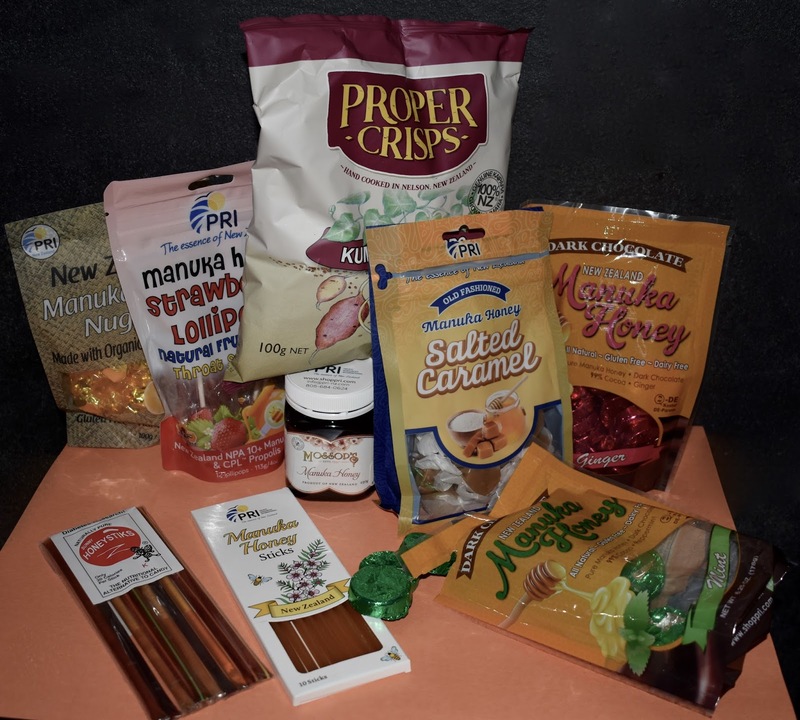 Read on to win an awesome and delicious bundle, that is much healthier than most items coming out of those tricky bags on Halloween. Even if you don't win, I don't want to let you go empty handed so use the code Treats15 and get 15% off all products, including free shipping at shoppri.com!! • Manuka Honey Lollipops (Strawberry) - These are made with UMF 10+ Manuka Honey & CPL 15+ (Certified Proplis Level). Made with organic ingredients, no artificial flavor or color, and no corn syrup! Helps soothes a sort throat, great for fighting infection and build the immune system. Non-GMO and good for all ages. • Manuka Honey Nuggets - A healthy treat that helps build the immune system with bio active Manuka honey 5+. It comes in 3 flavors; Manuka honey, traditional lemon & honey, and digestive ginger. It can be used as a snack, and even used to sweeten a hot drink. • Manuka Honey Salted Caramels - All natural soft caramels use real butter, sweetened condensed milk, and pure vanilla. The sweetness of Manuka honey is balanced with organic sea salt with trace minerals from the clean waters of New Zealand blended in. It's chewy, tasty and all natural! • Manuka Honey Chocolates – (Mint and Ginger) - Who doesn't love chocolate? It remains one of my go-to treats so it's great to know that these treats only have 3 ingredients. Dark chocolate, Manuka Honey, and mint or ginger. There are no artificial flavors, fillers, colors or preservatives. Made in the USA, dairy-free, gluten-free, certified kosher and all natural! • Manuka Honey Sticks - Make with genuine Manuka honey from New Zealand. 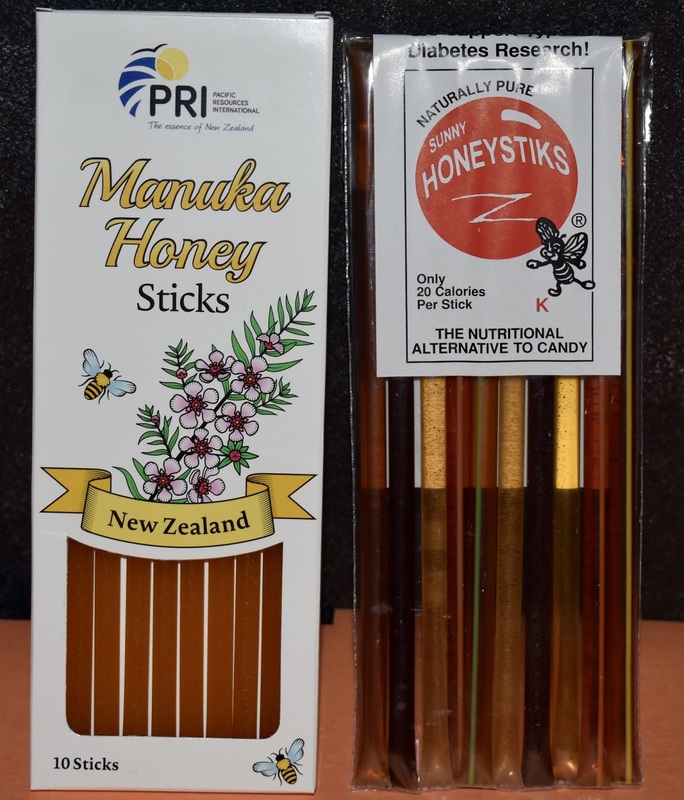 Contains all the benefits of Manuka Honey in a convenient to carry package, convenient for sweetening drinks, quick snacks. Use it as an energy boost, anytime sweet treat, or snack! 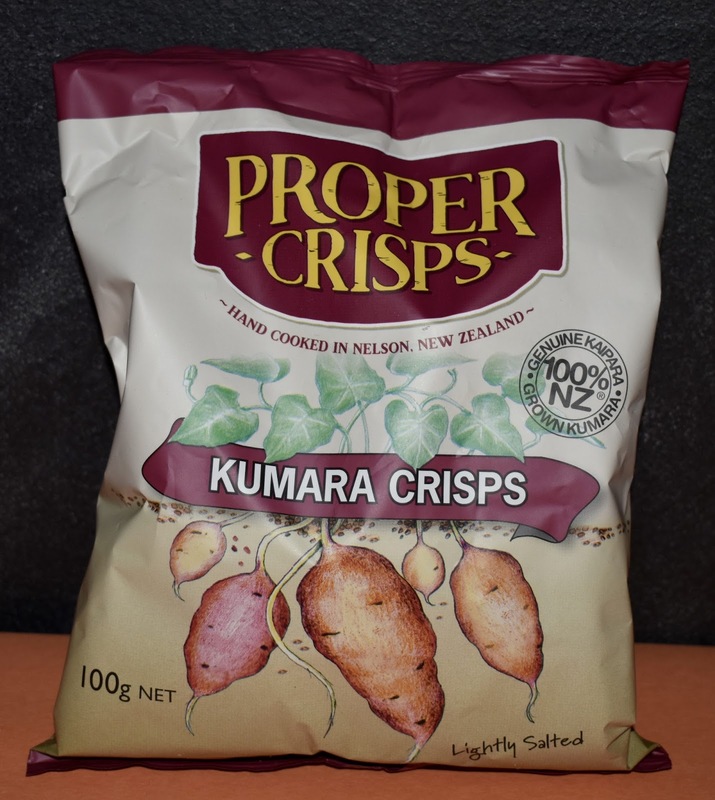 • Proper Crisps (Kumara) - Kumara crips are sweet potato chips sourced from the subtropical Kaipara region. Crafted from a medley of orange, yellow and red kumara, and a dusting of Marlborough Sea salt. 100% natural, gluten, dairy, GMO free with no added MSG , and vegan friendly. • Mossops Manuka Honey 5+ 1/2 lb. Jar - Manuka honey is sourced from the Manuka tree (Leptospermum scoparium) native to New Zealand. You can take 2-3 teaspoonful up to 3 times a day, best if taken 30 minutes before every meal. It is 100% Raw Honey, certified Kosher. "Pacific Resources sources honey directly from New Zealand beekeepers, who take pride in producing high-quality products. Our Manuka honey is collected with care from native Manuka trees in New Zealand's remote, pollution-free forests to produce the highest quality Manuka honey. Special techniques have been used to ensure that this Manuka Honey reaches you in optimum condition, just as nature intended. 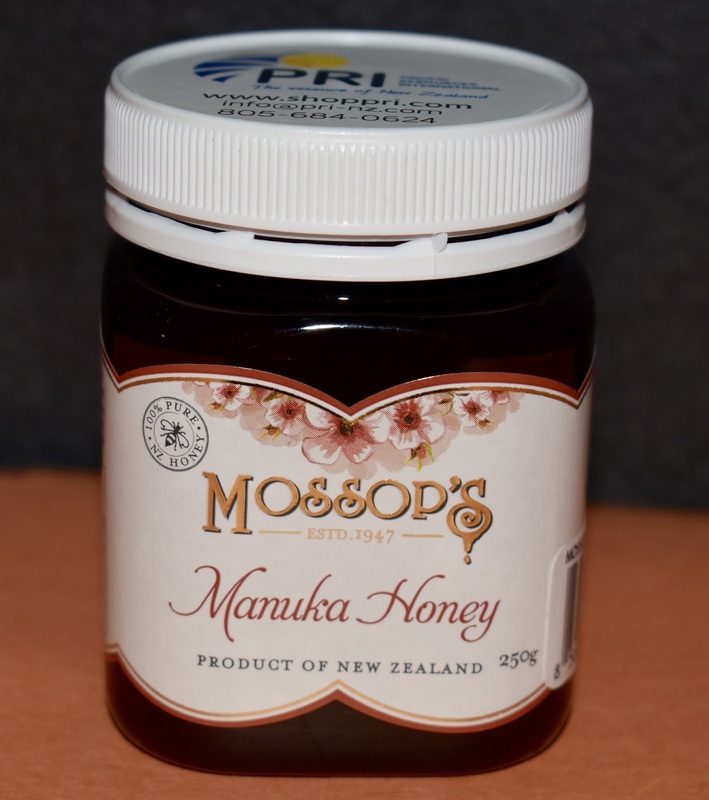 Mossop's Honey New Zealand is a family business that has been producing and packaging top quality honeys for over 60 years." As you can see all these are amazingly natural, something that is so hard to come by in our products we consume these days. 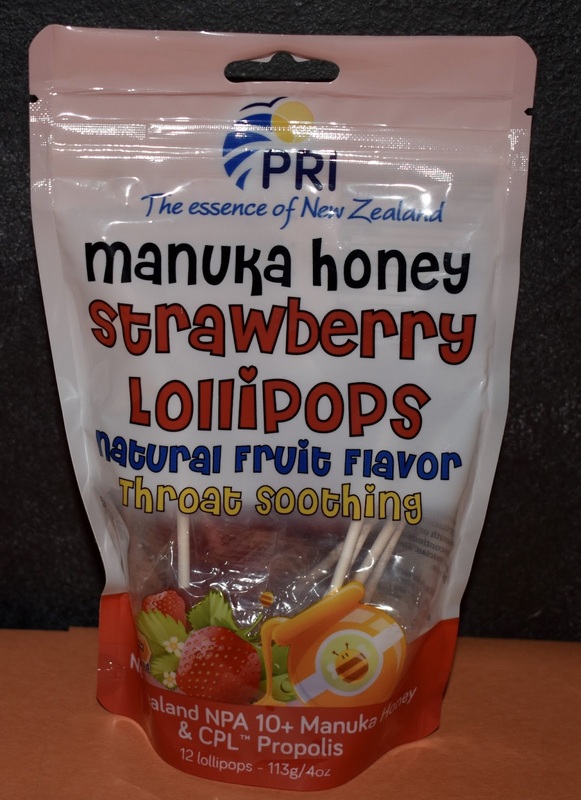 The sweet Manuka honey has so many health benefits, these are healthy treats that you'll love. Remember the consumption of honey is not suitable for children under 1 years of age. You can use many of these products, especially the honey in multiple ways! Not just great for Halloween will be amazing during holiday entertaining. Visit ShopPRI.com for more amazing products and more information. Remember use the code Treats15 and get 15% off all products, including free shipping! To enter to win the amazing prize pack of healthy deliciousness, use the Rafflecopter below! Good luck!